Somerset is the UK’s seventh biggest county and made up a variety of landscape and architecture – from coastal cliffs to moorland and cityscapes to village greens. Situated in one of Taunton’s most sought after locations, the client’s homes nestles discreetly in a beautiful leafy setting on the South Western outskirts of this historic county town at the heart of one of England’s most rural counties. 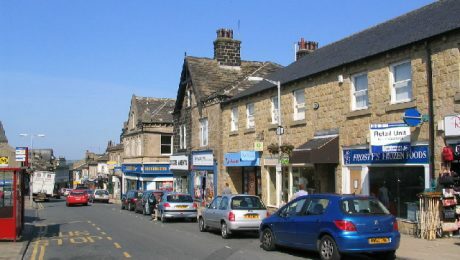 With the market town in close proximity to good schools and local amenities the homeowners were reluctant to move but needed more space for their growing family. 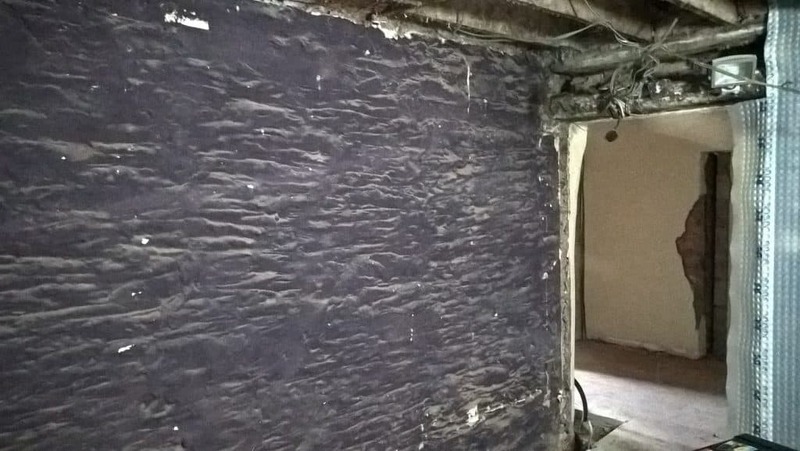 Our South West team were contacted by a homeowner at the start of 2016 who required a specialist damp consultation. 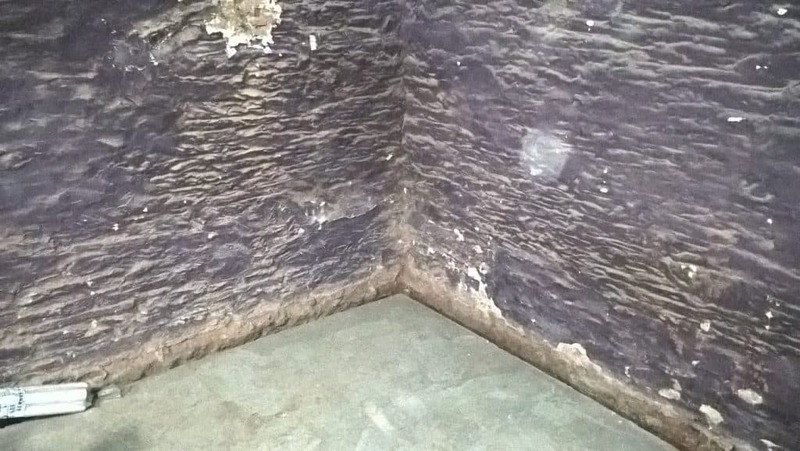 They were looking for Timberwise to provide a basement waterproofing solution that met waterproofing specification BS8102 to ensure their new converted cellar remained dry whatever the weather. Taunton was the first town in the country to be lit permanently by electric street lighting in 1881. This was 12 months before the Electric Lighting Act of 1882 which enforced the switch from oil lamps to electric across the UK. 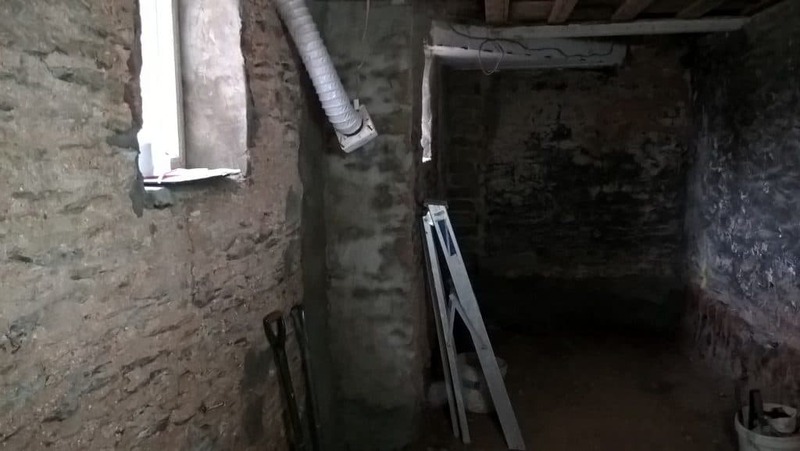 Following an in-depth basement waterproofing survey from our CSSW qualified waterproofing specialist, both ourselves and the homeowner agreed that in order to rectify the damp issues present, Timberwise would need to implement a thorough waterproofing solution for their new basement. 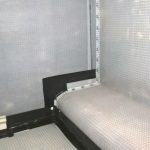 Like the basement, by its very nature, is below ground our waterproofing specialist had to assume that it could ultimately be affected by groundwater penetration and consequently any waterproofing solution specified had to protect the basement against the potential risk of future water penetration. 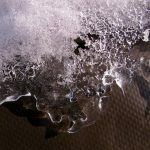 As the new basement was intended for domestic living accommodation the waterproofing specification had to reflect its intended purpose. 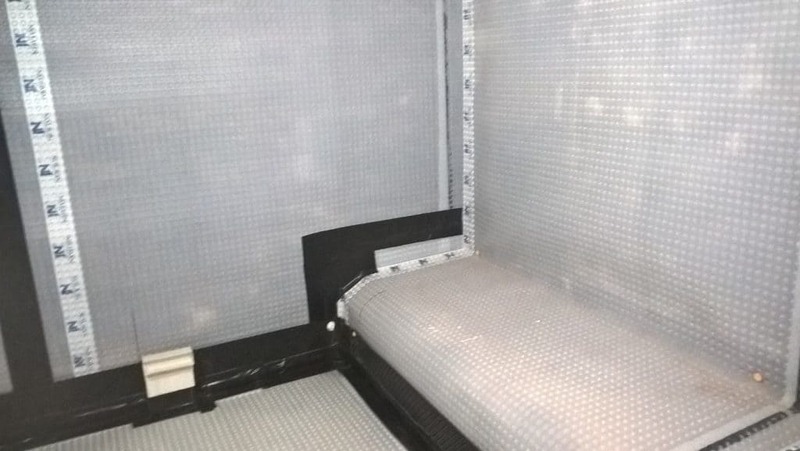 In order for the cellar to be made fully dry and habitable Timberwise installed a cavity drain membrane lining system to the walls and floor. 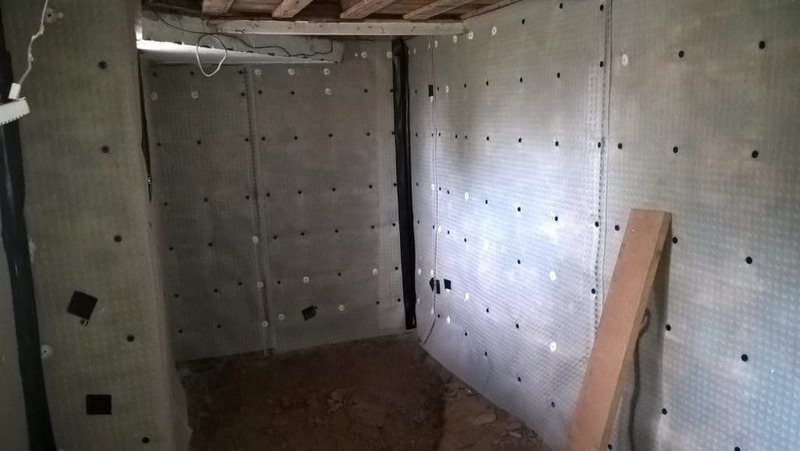 The cavity drain membrane used on the walls and floor was accompanied by a perimeter drainage channel which ran around the edge of the cellar and was supported with gravel. Drill holes were made into the topside of the channel allowing more water to flow through. The perimeter drainage led to a sump chamber which was also set into the floor slab. As there were no external walls to the basement, the pump had to run excess water from the cellar through a drainage channel. It ran across the hallway and out to a gully by the owners backdoor where the water could be disposed of. 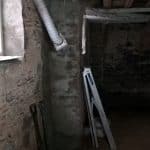 The wall, floor lining, drainage channel and sump and pump were all necessary, as it was prudent to assume that running water could potentially enter the cellar at some time in the future. 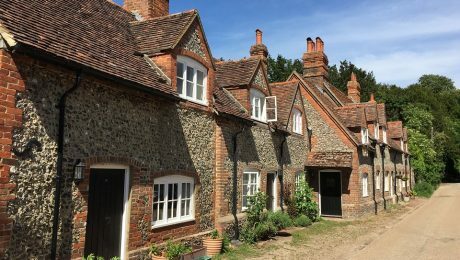 To further ensure no further dampness could make its way into the property, Timberwise were also instructed to carry out the installation of a damp proof course. 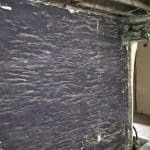 This involved our technicians injecting our own specialist damp proofing cream, DriWise into the walls. 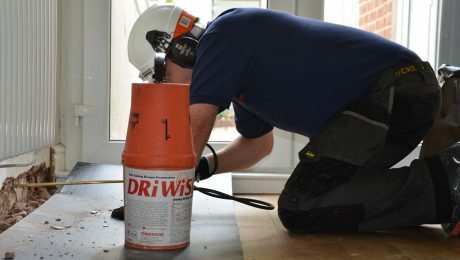 DriWise is specially formulated to combat the effects of rising damp by penetrating deep into natural stone walls and forming a waterproof layer to stop the capillary action movement of moisture. The end result was a delighted client with a dry basement area that benefits from a long term guarantee for extra peace of mind. 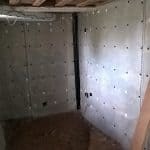 A dry basement was delivered to the customer’s specification. By creating this space the owners have the further living space they dreamed off without having to compromise and move. A dark unused basement not intended to be lived in is now transformed into a contemporary space ideal for modern family life. 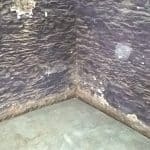 Trust Timberwise to be able to provide you with the right basement waterproofing solution for your wet basement problem. 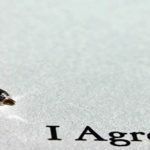 Don’t hesitate to contact Timberwise by calling on 0800 288 8660 or you can request a survey on-line.